Buildings in 100 block of Main Street redeveloped. 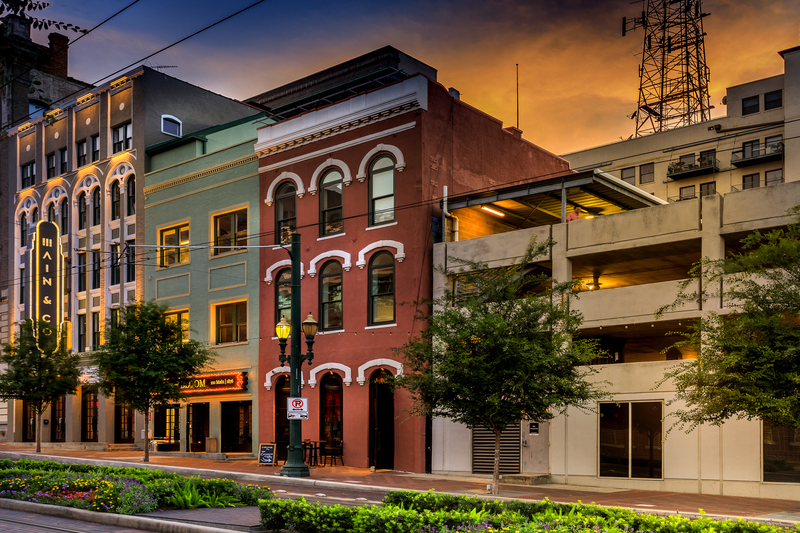 HOUSTON – (Realty News Report) – NewForm Real Estate, an investment firm led by Dan Zimmerman, has redeveloped two historic buildings at at the corner of Main and Commerce streets. The development includes the three-story Raphael Building, 110 Main Street, built in 1876; and the five-story Dorrance Building, 114 Main, built in 1903. The buildings have a total of 16,950 SF of creative office space and 12,159 SF of retail space. CBRE’s Sasha Levine and Lacee Jacobs are leasing the retail space. The development is called Main&Co. With preservation and sustainability at the core of the redevelopment, Main&Co is characterized by a mix of original exposed brick walls, ceiling beams, glass windows and sky-lights, restored and refinished hardwood floors, modern stainless-steel kitchens and redesigned private en-suite bathrooms and a roof-top solar panel system. “The redesign of these two iconic buildings focuses on preserving and restoring as much of the original interior character as possible, while also incorporating modern, sustainable and creative conveniences found in new state-of-the-art buildings,” said Zimmerman of NewForm Real Estate. The redevelopment is already home to The Cottonmouth Club and Lilly&Bloom – both cocktail lounges on Main Street, and LCD Gallery, a contemporary arts space. Metrorail runs in front of the buildings.